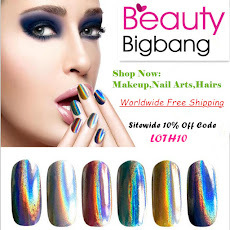 Today, for The Digit-al Dozen's 5th birthday, I'm hosting a Greek party on my nails! I did these nails according to The Nailasaurus' marble technique. 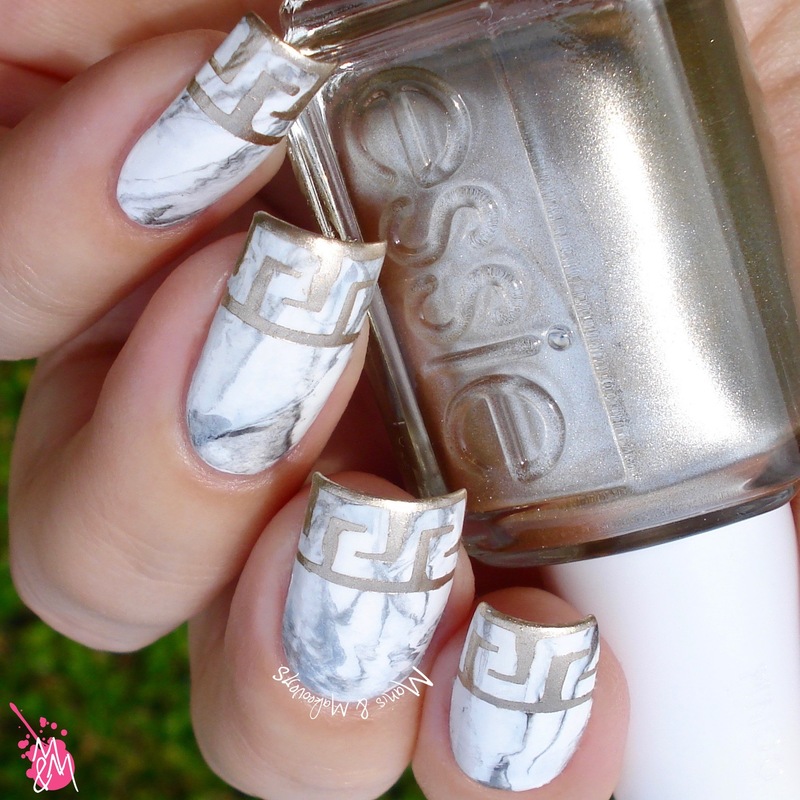 I used HEMA white, Essie "No Place Like Chrome", Essence "Discover My Secret!" and Catrice "Salty Shimmer Sunset" for the marble. 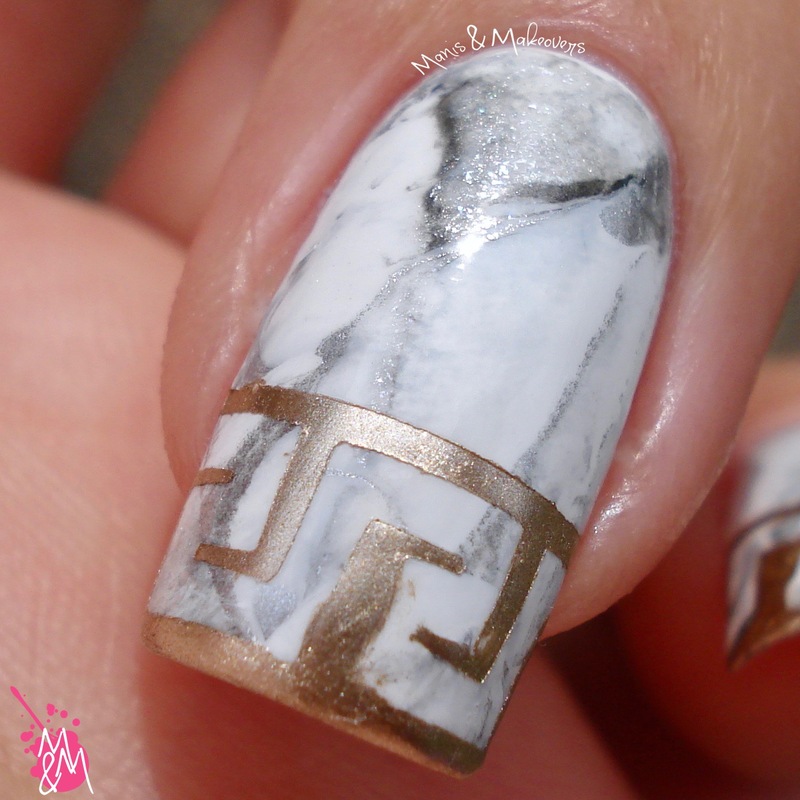 I sealed in the marble with SV, then I applied some vinyls to create the meander pattern with Essie "Good as Gold". What do you think? I was quite happy with how this technique worked! 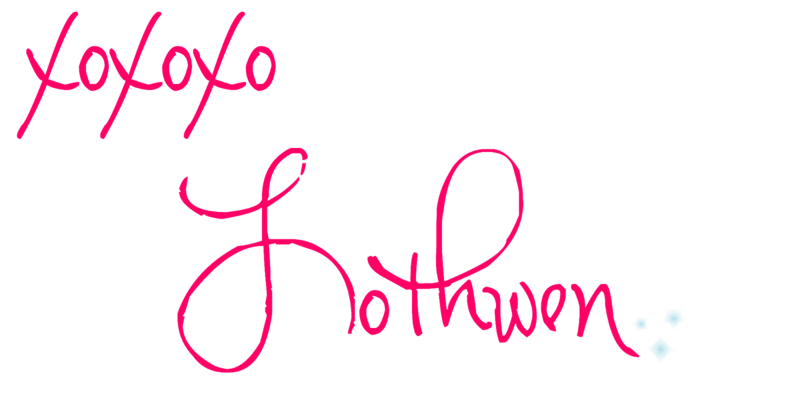 I'm curious to see the other ladies designs and if you're as well, have a look at the links below! These are absolutely terrific!! I'm really digging the current marble nails trend too. And, this technique worked great!! 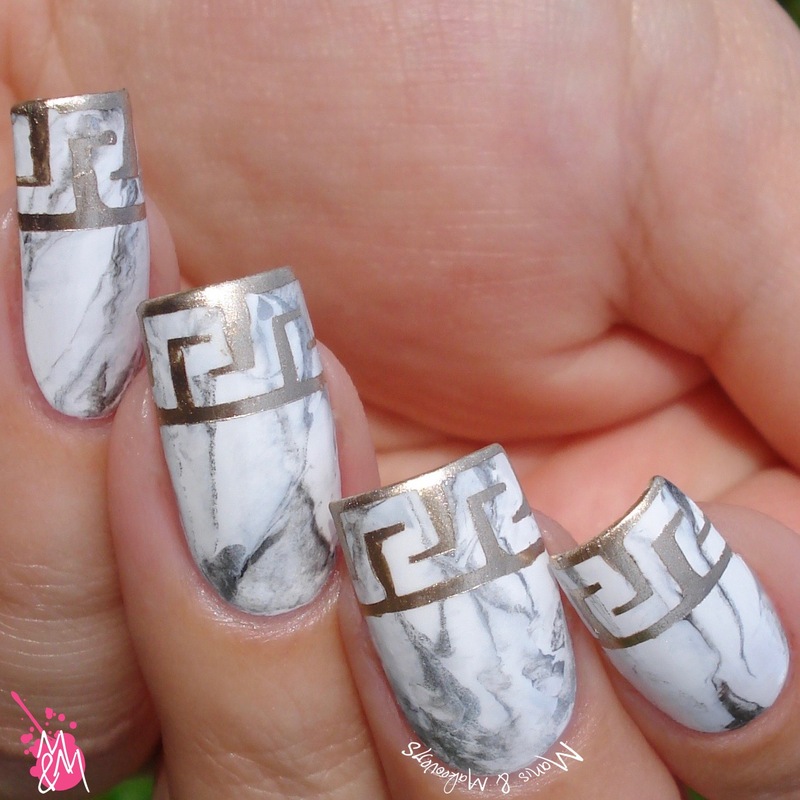 One of the best marble mani I have seen ever! Jaw dropped. Oh wow, it looks like real marble! 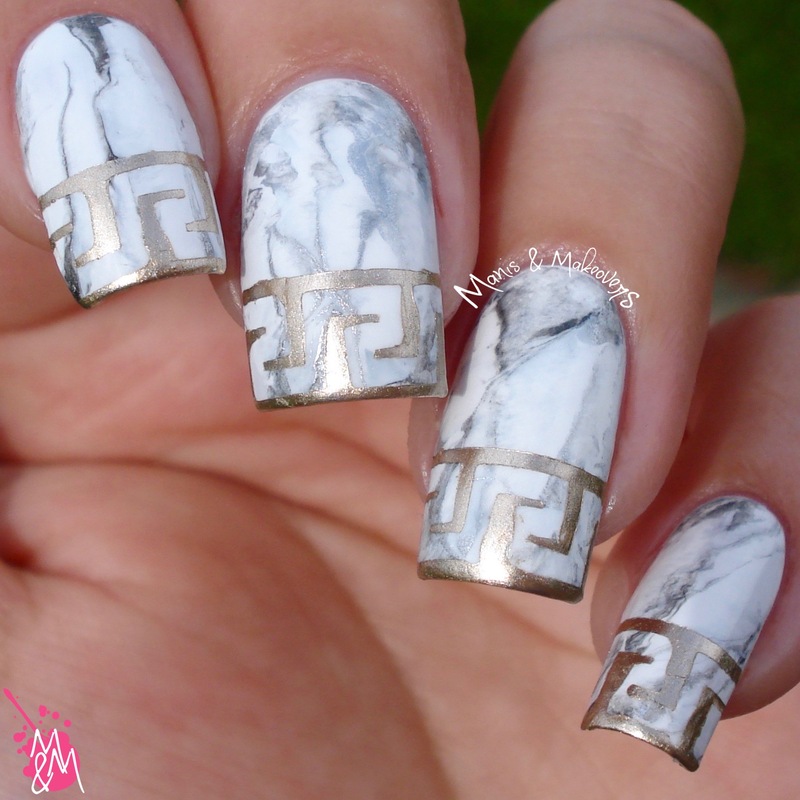 These are fabulous, I'm so impressed with that marble!